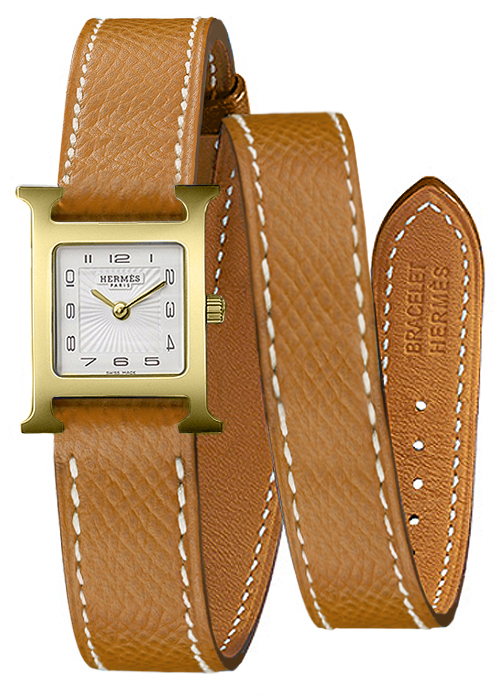 Gold-plated stainless steel case in the shape of an "H". 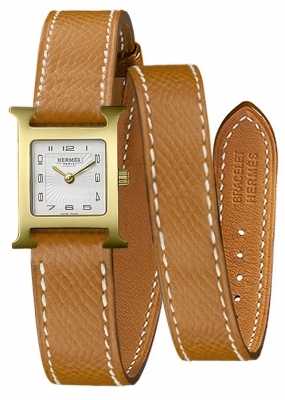 Gold grained calfskin leather "double tour" strap with contrasting white stitching and a tang buckle. The strap winds around the wrist two times.